Here are 4 ways for you to track your order. Steps 1: If you have the Facebook account, please log in Yoins account via this entrance or click here to login Messenger. Steps 2: Click the Messenger “Chat now”. 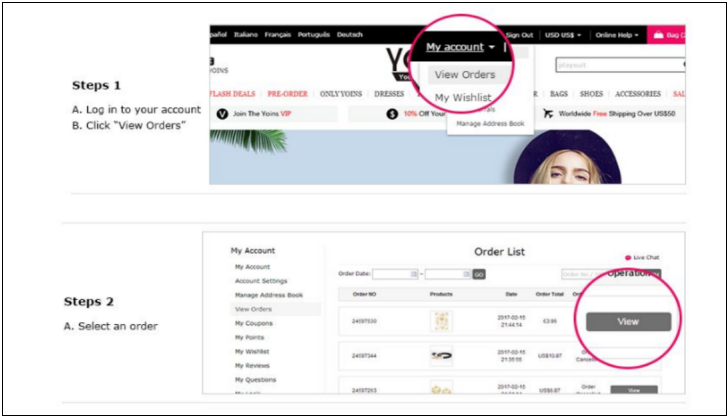 Steps 3: Click “Track order”, Input the order number(8 digits starting with 5) or email address you used in the order. Note: Please provide a keyword query at one time. 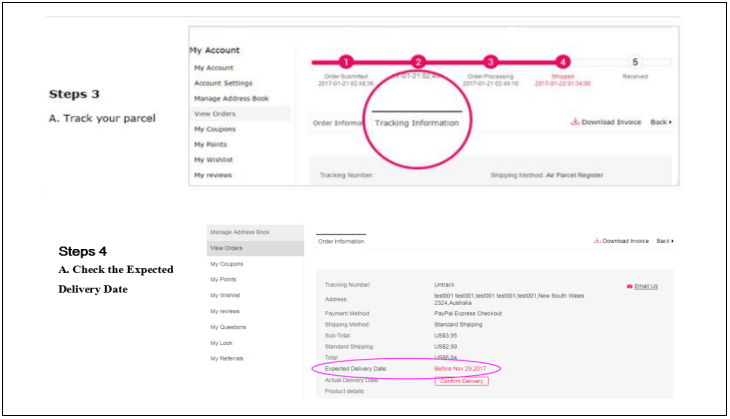 Steps 4: Click “Shipping status” -- “Detail Tracking”. Enter your tracking number to track the current status of your delivery. Our customer service team would be happy to assist you in tracking your order. Here are the service entrances: Messenger / Live chat / Email / Call us(00852-21364966). How to modify or change the address? Which situations are not been included in the shipping insurance? What privilege for customer after purchasing the shipping insurance? How to receive your order?